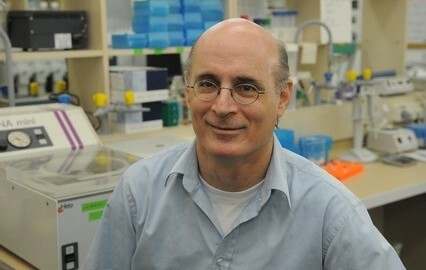 Prof. Gideon Rechavi, M.D. Ph.D. serves as the Head of the Sheba Cancer Center of which he founded and he directs. In 2013 he initiated and established the Genomics Based Personalized Medicine Program at the Sheba Medical Center. His major scientific contribution to genetics is the identification of the role of transposable genetic elements in the activation of cancer causing genes and the deciphering of global modifications in the human transcriptome by RNA editing and RNA methylation. His findings were published in more than 400 articles in leading journals, and his research earned him numerous awards and research grants, including the Kennedy Prize from the Weizmann Institute of Science, the Oholo Prize for Research in Leukemia, the Elkeles Award for Distinguished Scientist in Medicine, the Chaim Sheba Extraordinary Physician Award, the Shani Prize for Vision in Medicine and the Beutler Research Program Award for Excellence in Genomic Medicine. His research team was selected for two Research Centers of Excellence in his research areas of interest, namely; systems approach for diagnosis, treatment and prevention of complex diseases and the role of chromatin, RNA modifications and non-coding RNAs in regulation of gene expression in development and disease.